The perfect gift this fathers day for dad of a wild child. Hand printed using adapted screen printed techniques to ensure the designs becomes a part of the fabric and has a soft, high quality finish. Made from 100% cotton, super duper soft and are made in the UK. 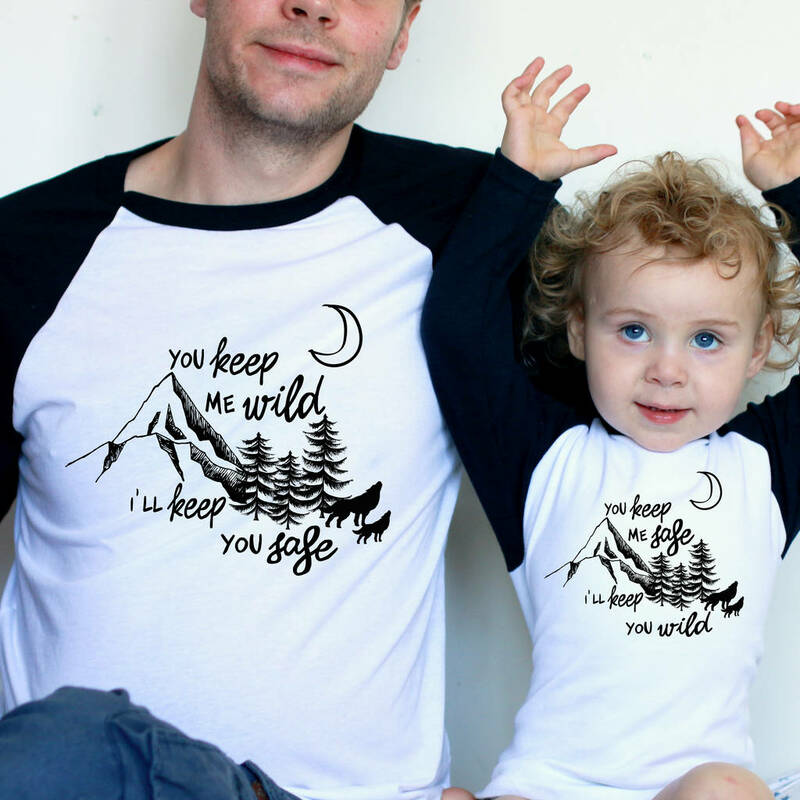 Printed with eco friendly water-based inks that's gentle on the planet and your mini citizens skin. Created with love by human hands in our east London studio. To take best care of your garment we recommend washing on 30 degrees inside out, hang drying and not ironing directly onto the print. Each garment is printed with human hands so please allow for slight variations in the print and positioning of the design. . Available on black or white short sleeved tees or a monochrome baseball raglan as pictured. Black or white short sleeves tees for kids or a contrast trim vest as pictured for babies. The kids tee is avaiable seperately if you have more than one child. T-shirts are made from 100% cotton and are hand screen printed with eco friendly water based inks. Because they are screen printed the ink molds with the t-shirt meaning the print will stay perfect no matter how many washes and wears. 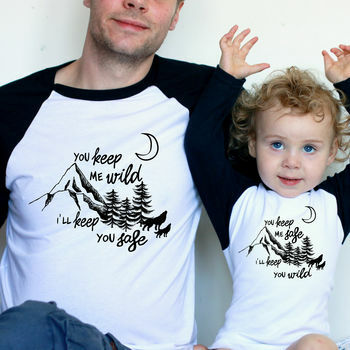 Kids tee are true to size and come in 0-3 months, 3-6 months, 6-12 months, 1-2 years, 2-3 years, 3-4 years, 4-5 years, 5-6 years.